Farrar, Straus and Giroux, 9780374108663, 208pp. 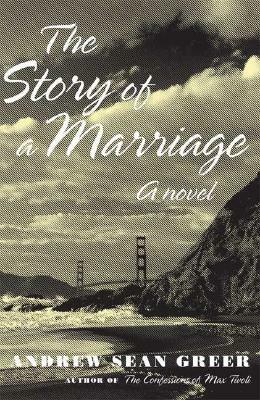 From the bestselling author of "The Confessions of Max Tivoli," a love story full of secrets and astonishments set in 1950s San Francisco "We think we know the ones we love." So Pearlie Cook begins her indirect and devastating exploration of the mystery at the heart of every relationship, how we can ever truly know another person. It is 1953 and Pearlie, a dutiful housewife, finds herself living in the Sunset district of San Francisco, caring not only for her husband's fragile health but also for her son, who is afflicted with polio. Then, one Saturday morning, a stranger appears on her doorstep and everything changes. All the certainties by which Pearlie has lived are thrown into doubt. Does she know her husband at all? And what does the stranger want in return for his offer of $100,000? For six months in 1953, young Pearlie Cook struggles to understand the world around her, most especially her husband, Holland. Pearlie's story is a meditation not only on love but also on the effects of war--with one war just over and another one in Korea coming to a close. Set in a climate of fear and repression--political, sexual, and racial--"The Story of a Marriage "portrays three people trapped by the confines of their era, and the desperate measures they are prepared to take to escape it. Lyrical and surprising, "The Story of a Marriage "looks back at a period that we tend to misremember as one of innocence and simplicity. Like Ford Madox Ford's "The Good Soldier," Andrew Sean Greer's novel is a narrative tour de force that confirms him as "one of the most talented writers around" (Michael Chabon). Andrew Sean Greer is the bestselling author of "The Confessions of Max Tivoli" (FSG, 2004), the story collection "How It Was for Me," and the novel "The Path of Minor Planets." He lives in San Francisco, California.